As you all know, it's been an especially rough last few days here in Pittsburgh. This is our home. And the people of this community are our neighbors, our friends, our customers, and even our co-workers. So we'd like to see if we can't help out a little, maybe with some assistance from you. You do the drinking, and we’ll do the donating. On Tuesday, November 6 from 4-9pm, stop by either East End Brewing location after you’ve voted (and for the love of god, please vote). We’re donating 100% of our draft beer sales to the Tree Of Life - Or L'Simcha Congregation in Squirrel Hill, located just a mile and a half from our Brewery. Under 21 or don’t like beer? No problem, we’ve got Barmy Ginger Ale & Root Beer, and Cold Brew Coffee on tap as well, and all go towards the fundraiser. More info on the event page HERE. Partly Clahdy 6.0% Our signature hazy New England Style IPA is back in cans and on draft! 4 packs of 16oz cans are available at both locations for $18, but they won't last long. R&R Helles Lager 4.9% A Munich-style lager from local home brewer Richard Romanko, this is an easy-drinking beer with a light malt sweetness and crisp clean finish that everyone can enjoy. Green Giant IPA with Passion Fruit 7.2% What could make our hoppy West-Coast style IPA even better? How about dousing it with passion fruit to soften the bitterness and add some light fruit notes? 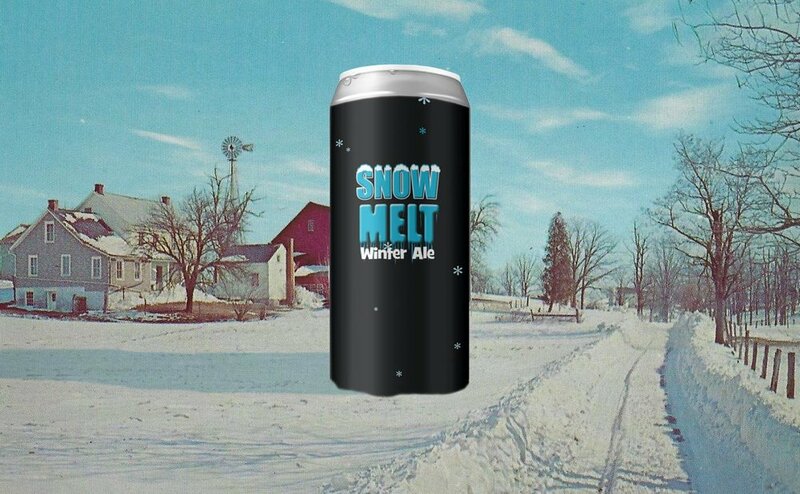 Snow Melt Winter Ale 7.0% Our favorite frost-melter and eyeglass defogger will be released in cans and on draft on Black Friday, November 23. But we'll get some on tap and around town before that. BOY, we've missed this beer! More info below. Bourbon Barrel Aged Nunkin Ale 6.8% We are all out of this beer on draft but we have a few cases of cans left. Hurry, they probably won't last through the weekend! And you said the Nunkin beer ...okay, you probably said the PUMPKIN beer bubble had burst. Smokestack Heritage Porter 5.4% We've got a few bottles left, but our smoked porter is almost gone on draft. Wonderful with food, this is a great choice to bring to your Thanksgiving dinner table. Black Strap Stout 6.2% On the horizon for Fall & Winter is our big, bold, roasty stout. One of our original recipes, it's still brewed with real Pennsylvania black strap molasses and brown sugar. Homewood Reserve 6.5% The Bourbon Barrel Aged version of Black Strap Stout, aka the Perfect Fireside Beer, has been resting quietly in oak for a full year, and will be debuting in cans and on draft just as soon as we can make it happen. Need some new fall looks? Why not do some shopping online now? We've got new colors, new designs, new ladies tank tops and men's 3/4 baseball shirts, tote bags, enamel pins, wow! Just a lot of fun stuff that's perfect for those holidays that we don't want to admit are fast approaching. Click here to shop online or pick up something new at either location. On Friday, November 23rd we're bringing the fun back to Black Friday with a can release of Snow Melt Winter Ale, the brewer's favorite! A rich, roasty, mahogany-hued winter ale at 7%, brewed with Simcoe and Nugget hops that bring a bright pine finish. Best used for frost removal, holiday toasting, and guaranteed to clear the fog off your glasses. Plus we'll have some other Black Friday fun to keep you entertained... including the debut release of our 12 Beers of Christmas Variety Pack. Stay tuned for more information coming soon! ...all other days that week, we're keeping our regular hours. Do you have a special interest in beers that have spent time in bourbon or wine barrels? Want to learn about "sours" and beers that undergo more unusual fermentation methods? Are you a fan of the kinds of beers poured at our GOOD WOOD festival each winter? This tour is a barrel room tasting-focused run through four beers from our barrel aging program, with a discussion about the processes used to make each. Click here for tickets! This $20 tour is best for SEASONED BEER FANS interested in learning about our barrel aging programs and some of the more unique beers styles we brew. Click here for tickets. On Saturday, November 3 we'll be pouring at the Beers of the Burgh Winter Warmer festival with a bunch of great local breweries. Get your tickets here. Drink & Donate at the Brewpub in Larimer, 4-9pm. PUB QUIZ, Buzzworthy Pub Trivia at the Brewpub starting at 7pm. Free to play! Bring your own food. GOOD WOOD BREWERY TOUR at the Brewpub, 1pm. Click here for tickets! Black Friday SNOW MELT RELEASE at the Brewpub & Taproom. More info coming soon!